As we head into Week 8 of the NFL season, byes and injuries and surprise performances have changed the defense/special teams landscape in fantasy football, meaning we need to be on the serious lookout for units worth streaming. It seems like the NFL season just kicked off, yet somehow here we are at the halfway point of most fantasy football seasons. It’s getting late early for those owners with 2-5 or 3-4 records — the time is now to turn things around. 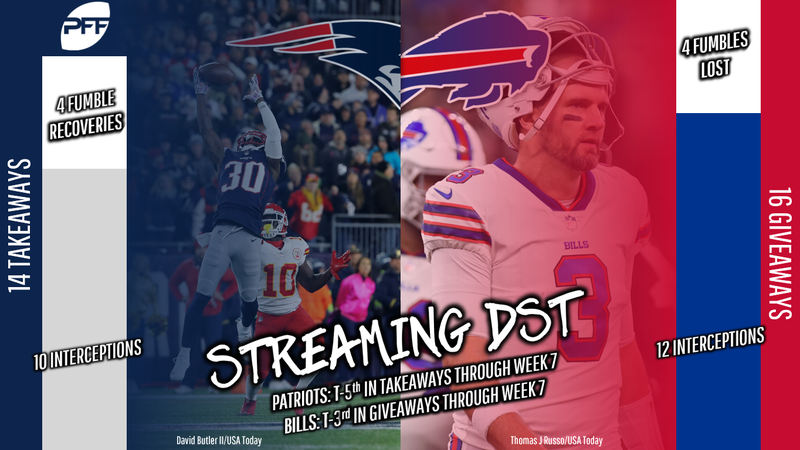 With seven weeks of NFL action under our belts there are clear and definitive trends to follow when choosing streaming DST units. Let’s take a look at some streaming options for Week 8. Once again, we have four teams on a bye, as the Falcons, Cowboys, Chargers, and Titans are sitting Week 8 out. Reports are that Jacksonville head coach Doug Marrone has decided to ride with Blake Bortles as the starting quarterback for Week 8. That is all we need to know to start the Eagles defense. Bortles was benched in Week 7 after losing a pair of fumbles; he has now turned the ball over 11 times in 2018. Cody Kessler was less than impressive in relief, finishing with one touchdown pass and an interception. The Eagles defense managed just two sacks in their loss to Carolina, but should have a bounceback performance in London against a Jaguars team that is -12 in turnover ratio this season. We advised streaming the Broncos DST against the Cardinals last week and it paid off handsomely. The Broncos racked up six sacks, five turnovers, and two interception returns for a touchdown. As I’ve said many times, rookie quarterbacks can be fantasy gold for DST units, and Josh Rosen has turned the ball over six times in the past two games. It’s unlikely that new offensive coordinator Byron Leftwich, who replaces the fired Mike McCoy, will be able to turn this offense around in just 10 days, so once again we head to the desert and start the 49ers DST. Look for big games from DeForest Bucker and Solomon Thomas as Arizona has allowed 10 sacks in the last two weeks. There’s a chance the Steelers DST unit is available, as they were on a bye last week. If so, the unit needs to be picked up and started against the Browns. We are following the rookie quarterback rule once again in a juicy fantasy matchup. In the last three games, the Browns have given up an average of five sacks per game and 44 total quarterback pressures. On the season, Baker Mayfield has thrown six touchdowns and turned the ball over seven times. In the Week 1 meeting between the teams, Pittsburgh had seven sacks and an interception with Tyrod Taylor at quarterback for Cleveland. Look for the Steelers’ relentless pass rush to rack up sacks as well as lead to turnovers this week. The Bills struggle mightily at the quarterback position. Rookie Josh Allen continues to deal with an elbow injury that will likely have him sit out this Monday night matchup. After signing less than two weeks ago, veteran Derek Anderson drew the Week 7 start and seemed to pick up where Nathan Peterman left off. Anderson threw three interceptions and lost a fumble in the Bills’ loss to the Colts. The Patriots DST unit has six interceptions over the past three weeks and put up two special teams touchdowns last week in Chicago with a 95-yard kickoff return for a score and a blocked punt. In the last two weeks the DST playing against Buffalo has put up top-10 fantasy totals. The Bengals return home with a favorable matchup after facing the red-hot Kansas City offense in Week 7. In that tough matchup Cincinnati did manage a top-15 fantasy finish, with two sacks and an interception. This week they face a Tampa Bay offense that tends to play fast and loose with the football while also struggling to protect the quarterback. In their past four games, the Buccaneers have allowed 13 sacks while turning the ball over 13 times and giving up a safety and a defensive score. The Bengals have managed just 15 sacks to date in 2018 but have forced nine turnovers and posted a league-high three defensive touchdowns. There should be enough big-play turnovers in this matchup to make the Bengals a viable Week 8 streaming option. These two teams are meeting for the second time already in the 2018 season, with the Chiefs having beaten Denver on the road in Week 4. In that 27-23 victory, Kansas City managed to put up four sacks and an interception. The key to the Chiefs being a solid streaming option this week is the defensive numbers they have posted in their three home games in 2018. Playing at Arrowhead Stadium, Kansas City has racked up 11 sacks, five interceptions, and two defensive touchdowns. Denver quarterback Case Keenum is not enjoying the success he had in Minnesota last season — he has thrown eight touchdowns against nine interceptions through seven weeks. 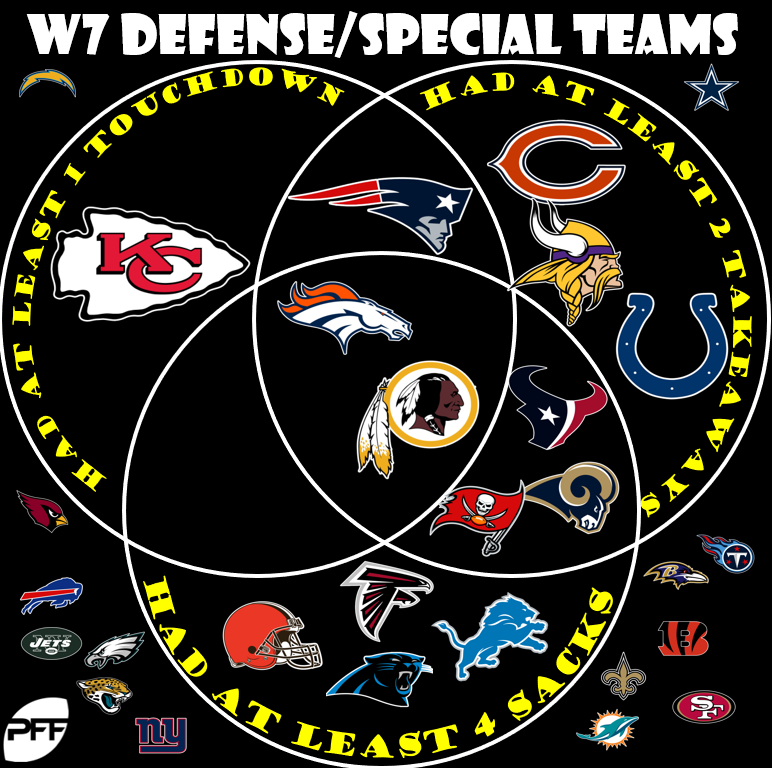 Look for the Chiefs DST to step up in a big way and keep in mind that Tyreek Hill is a special teams threat having already returned one put for a touchdown in 2018. This is a Thursday night showdown between two teams heading in opposite directions. The Texans have won four straight games after starting the season 0-3 while Miami has dropped three of four after starting the 2018 season 3-0. More importantly, the Texans DST unit has been a top unit in the last four weeks with 12 sacks, 10 turnovers and two defensive touchdowns. In that same four-game span, the Dolphins have allowed nine sacks, turned the ball over eight times, and allowed a pair of defensive touchdowns. The duo of J.J. Watt and Jadeveon Clowney have combined for 11.5 sacks and 54 total quarterback pressures on the season. Look for a big fantasy day from the Texans DST at home this week against a Brock Osweiler-led Miami offense that will be without wide receivers Albert Wilson and Kenny Stills.